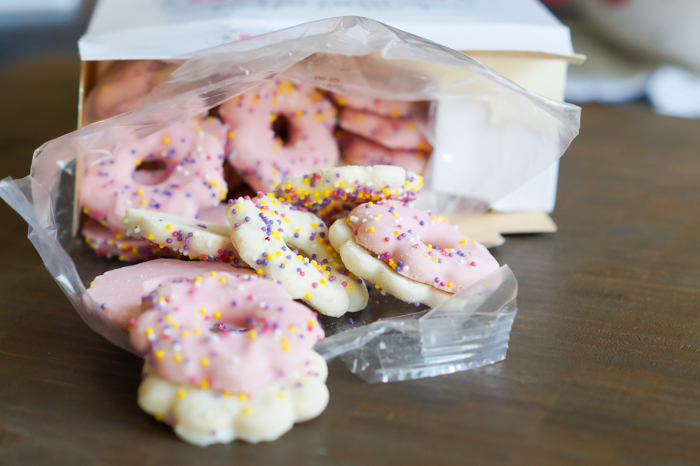 Tell me...how can one resist pink and white, flower-shaped sprinkle cookies stacked at the register? One cannot. That's the answer. 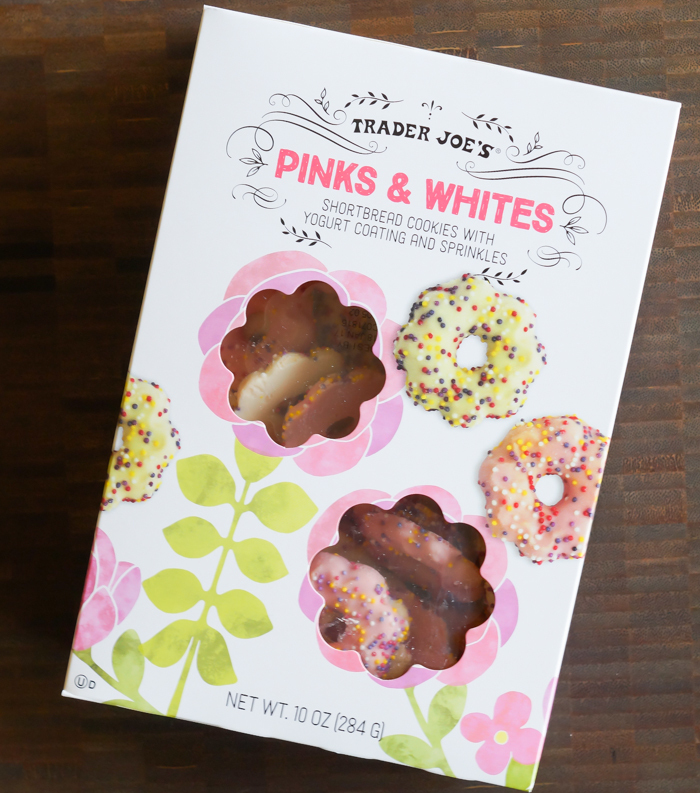 So this week, we review Trader Joe's Pinks & Whites. 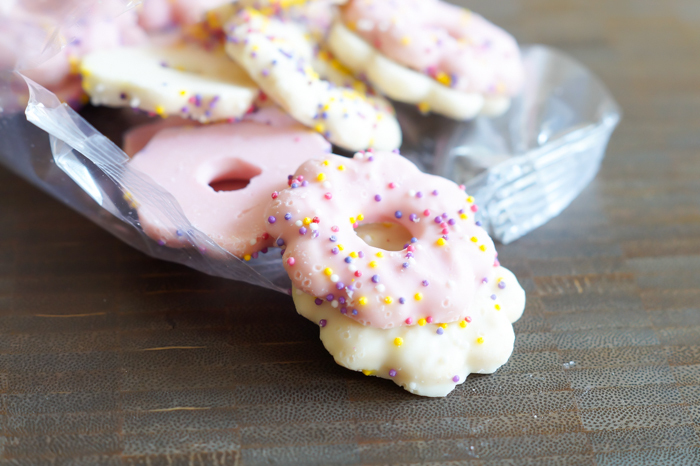 They are yogurt-coated shortbread cookies with sprinkles. A 10-ounce box costs $2.99. The back of the box is just as cute as the front. A mom's (my) take: How cute would these be stacked on a straw for a milkshake? Super cute! I'm suddenly craving a milkshake. These are crunchy and sweet...with a little added crunch from the sprinkles. I wanted these to taste like frosted animal crackers, but they didn't quite get there. Bonus points for cuteness, though. A teenager's (Jack's) take: Think frosted animal crackers, but twice the surface area. I can't really taste the difference between the shortbread base and a traditional cookie of this type, other than a slightly tangy aftertaste. Not too hard because of the coating, and they're not messy at all. I could and probably will eat the whole box. I don't know who said it's bad to eat flowers, but they are definitely wrong. 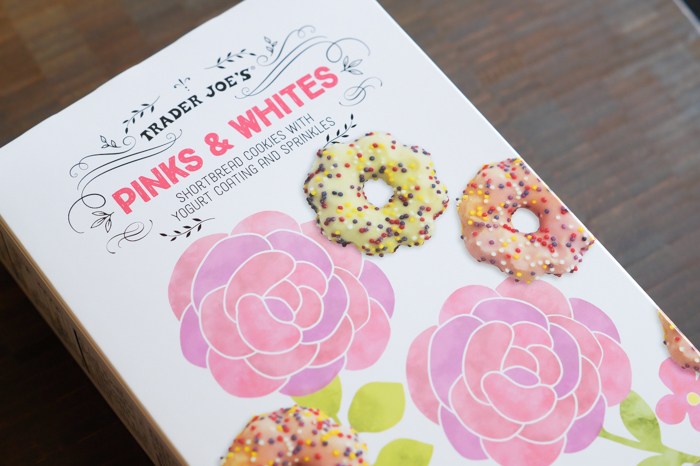 Trader Joe's Pinks & Whites: give them a whirl! So cute! I think you need that cutter!!! Hope all the sockets have healed!